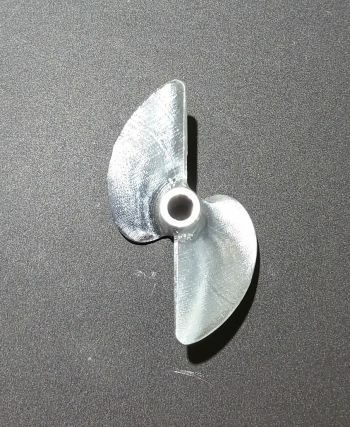 38mm CNC Aluminum prop for 4mm propeller shaft by TP Power. 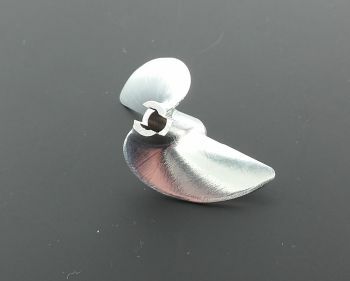 This propeller fits 4mm smooth shafts that have a drive dog and is held on by a nut. See picture two.